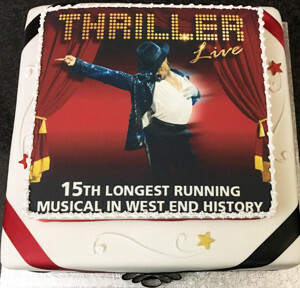 THRILLER LIVE has just celebrated Becoming the 15th Longest Running West End Musical of All Time last Saturday after 3,358 performances at the Lyric Theatre. It has smashed the record held by "Jesus Christ Superstar", which opened in 1972. They celebrated starting their 9th year in the West End at an after show party with cake and champagne, where leading the cast on stage were Cleo Higgins, best known as the lead singer of 90s RnB pop group Cleopatra, and Haydon Eshun, who also marked his 2,545th performance which is believed to be the longest run ever by a lead role in a West End musical. Fellow lead vocalist, Reece Bahia (now 21) first saw the show aged 9, and decided there and then that he wanted to be in it! Last night some of the biggest cheers from the audience came after his spine-tingling rendition of "She's Out of My Life". Also joining in the celebrations was original 2009 "Thriller Live" cast member Ben Forster, who went on to win Andrew Lloyd Webber's TV hunt for a star to play Jesus in his arena tour of "Jesus Christ Superstar" and is currently starring as the Phantom in "The Phantom of the Opera". 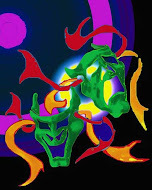 New effects have been added to the production, including spectacularly noisy, state-of-the-art turbo-charged smoke jets. Thriller Live is currently the 7th longest running West End Musical still playing - but that will change again when Jersey Boys closes in March. A Second Company is currently touring the UK until April.